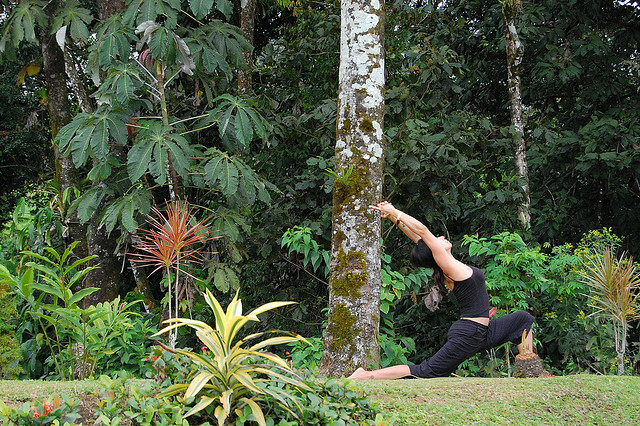 Top 5 Most Graceful Yoga Poses : This Friday's Top 5 Blog! This is our list of the top 5 most graceful yoga poses. We all know the flow of a yoga practice can look very beautiful. The transitions from one pose to the next appear seamless. Certain poses, however, really stand out. They are gorgeous all on their own. These are the ones that stand out to us. If you have time, let us know what you think in the comments section. Would you add other poses to the list? Check out the surprise at the bottom too! Surprise! It’s me, circa 2001, doing tree pose. Don’t you love the purple sunglasses? !